Home / Swarovski Crystallizing tutorials / What is the best glue to use when gluing Swarovski Crystals? Flat back Swarovski crystals are perfect for adding to a wide range of materials to adding some sparkle. They are made from lead glass and have a multi faceted face with a flat back on the reverse of the crystal that is available as foiled or un-foiled. The most popular style is the 2058 Swarovski Xilion Rose Enhanced which has 14 facets to provide the ultimate in dazzle. Rhinestones can be added to almost any surface, providing the correct adhesive is used to provide a suitable bond between the crystal and material. For some projects it may be necessary or appropriate to use more than one kind of adhesive if there are a variety of materials involved. i. If a materials surface is smooth such as rubber or plastic, lightly rubbing the surface with a fine emery cloth or sand paper will provide a better bonding surface. ii. Pre wash any new fabric prior to adding adhesive to remove any sizing. iii. A materials surface should be dry, clean and free of any dust, grease or oil before any adhesive is applied. i. Orange stick – For very small crystals ss5 – ss7 (used for nail art) an orange stick is the easiest tool to use, just wet the tip and the crystals will stick to it. ii. Jewel Setter – A jewel setter is a plastic wand with a sticky wax bud on the end, gently touch the crystal and it will stick to the bud, the crystal can then be dabbed with glue and placed into position, or just placed onto a glue surface. The bud may leave wax residue on the crystals, which can be easily wiped off once the adhesive is dry. iii. Precision tip tweezers – Larger crystal can be picked up with fine tipped tweezers. Swarovski recommend a range of adhesives for applying crystals to most materials as can be seen below. There are a range of adhesives that are widely used by the craft and jewellery making communities that are outlined below. Some of these adhesives give off very strong fumes so care needs to be taken whilst using them. Gem Tac Glue is manufactured by Beacon Adhesives it’s a permanent non-toxic water based glue, that is washable after 24 hours. It’s an extremely popular adhesive for adding crystals to fabric (dance costumes, t-shirts, jeans etc…) because it’s both strong easy to use and most importantly non-toxic so it’s safe to use in a confined space. Gemtac is clear and flexible when dry so provides a good bond for many surfaces as the glue wont crack if subjected to stress. Gemtac can be used to embellish: Mobile phones, greetings cards, clothing, shoes, leather goods, wood, suede and glass. E6000 adhesive is an industrial strength adhesive that is very popular with many craft enthusiasts because it sticks to just about anything and is very strong when dry. It takes about 24 hours to fully cure and is workable for 5 to 15 minutes when using (depending on air temperature), it dries to form a clear flexible rubber that like Gemtac can act as a shock absorber for the crystal if dropped. The downside of this adhesive is the fumes are very strong and contain a carcinogenic substance, so a mask needs to be worn when using. E6000 is 1 part epoxy glue so is ready to use straight out of the tube and doesn’t require any mixing. E6000 can be used to embellish: Mobile phones, flip flops and other footwear, it’s perfect for attaching crystals to any surface made from fabric, wood, glass or metal. GS Hypo Cement comes in a tube with a very fine applicator nozzle like a needle for very fine precision application. It’s widely used for jewellery repairs and watch making because it allows parts to be positioned before drying. It generally becomes tacky in 10-15 seconds but takes 10-15 minutes to dry and is fully cured in an hour. The adhesive dries water clear and is recommended for non porous surfaces it’s also a medium strength cement that won’t bond fingers. GS Hypo Cement can be used to embellish: Jewelry, plastic, glass, metal, ceramics, painted or sealed woods and other non-porous surfaces. Beacon 527 is a fast drying super strong crystal clear adhesive that’s flexible and waterproof once dry. It’s an industrial strength glue like e6000 with very strong fumes so will need to be used in a well ventilated area. Beacon 527 takes approximately 2 hours to dry and 24 hours to fully cure. The tube has a fine tip and the adhesive consistency is less viscous than e6000 which can make precision application easier. Beacon 527 can be used to embellish: Metal, Glass, Wood, Leather, Cardboard, Paper, Cork, Ceramics, China, Tile and shells. Choosing the best adhesive for fabrics and flatbacks – Tests the most popular adhesives and their bond strength to Swarovski flatbacks. Next What’s the difference between Swarovski Crystal, Diamonds and Cubic Zirconia? If I wanted to glue aluminum-backed resin and crystal rhinestones and cabochons to my cellphone case (polycarbonate) which glue would you recommend? The 2 glues that have come up the most are E6000 and 2 part epoxy. I know E6000 is strong but I’m a little wary of the carcinogenic factor. I don’t know much about 2 part epoxies other than you have to mix them together. Araldite 2026 and Araldite 2011 two part epoxy glue doesn’t contain carcinogenic substances from what I have read but the manufacturer still recommends that you wear a NIOSH approved organic vapor cartridge respirator for the fumes. I have used Araldite in the past and getting the right mix can be a litle tricky at first too much hardener and it dries too quickly, too little and it doesn’t set correctly. E6000 is much easier to use as there is no mixing required, but you will need to use it in a well ventilated area the same as the two part epoxy and wear a mask as the fumes do contain a carcinogenic. Khaled, but I’ve found rhinestones and gems often fall off..
What brand of rhinestones are you using, what adhesive and on what surface/material or object are the crystals coming loose from? Hello. I have decides to use crystals to decorate my headstall and breastcollar. Incase you aren’t sure of what that is, it’s for your horse, when you ride it helps your saddle not to slide. It’s made out of leather and I’m not sure where to even begin! Is there anything you could recommend? What type of glue is best for leather? I am needing advice on which glue to use for flat back clear rhinestones onto print on sweatshirts . I have a dance school and the kids have the names on the back and I am stoning them I have tried gem-tac, staysput and bostik but when I wash the tops all the stones fall off am at my wits end now!!! Hi Laura, sorry to hear your having such a problem the gemtac should work fine if enough adhesive is used to cover the back of the crystals. Hot-fix may be a better option for you either using an applicator wand or with an iron as they are specifically designed for use on clothing alternatively its e6000 but the glue has very strong fumes, so care will need to be taken when using it. Hi im a nail technician and have just bought swarovski crystals to apply to nails on top of a uv gel(bio sculpture). Can u recommend a glue that would keep the crystals on for at least a couple of weeks? I would ask on http://www.salongeek.com/nail-geek/ you should get some good advise as to which gel is the most popular. Gemtac will work with leather, but E-6000 is stronger and will provide a stronger longer lasting bond, you have to be careful of the fumes though. I currently use gemtac, that I’ve been using to attach crystals to fabric, flip-flops, glass etc, but I’m not sure it’s strong enough. Was thinking of using e6000, but I’m concerned about the odour. Do you know if is very strong please? Gem tac will certainly stick the crystals to flip flops, but it can peel off in a sheet of plastic after a while. E6000 provides a stronger bond especially if you rub down the surface of the flip flop first to get a better bond between the surface and the adhesive. The downside of e6000 is the fumes which are very strong, its not so much the smell as the chemicals used in epoxy glue, you can use a mask to eliminate the Chemical exposure or make sure the area you work in is well ventilated, which wont eliminate the fumes but help to reduce them. There are a number of glues on the chart that it may be worth looking into that are suitable for rubber, but Im not sure whether they also contain harmful chemicals, you should be able to do a search for each one and get a product data sheet which will tell you what they contain. As regards adhesive e6000 is good but you have to be careful of the fumes. For crystals ss12 or ss16 are a nice size, the ones in the tutorial are mainly ss12 but I have also done a tutorial with Swarovski converse which I used the ss16 (4mm) they are easier to use as they require less crystals. Probably the most popular colour would be clear crystals which also seems to look the nicest once its complete. The jet crystals used in the tutorial are nice but you don’t get half the dazzle you do with clear crystal. Hope this helps. I would like to stick Swarovskis to rubber. I see above to use a nuber of different glues but am having a hard time finding these glues. for eg it suggests Uhu instant adhesive, I have looked for this but there seems to be so many uhu glues. Can I use E6000 as I think I can get that? Hi Patty if you have a look at our tutorial on how to do Swarovski converse it will be the same as the toes on converse are rubber, for the tutorial I used e-6000 which works well. Some of the other adhesives are specialist glues so you can get them online from adhesive specialists, by Googling the name. Seeing as you have already purchased the gs hypo cement, I would give it a try on the back of a leather belt or something similar where you can test the bond and remove the crystals afterwards without damaging the item, I haven’t tried crafter’s pick sorry. i want to put crystals on a bag to use for a diaper bag what should i use? also if i do put gems on a bag should i spray it with a gloss adhesive spray? and for shoes what would be the best to use? If its a material bag you can use hotfix or non hotfix, if you are going to buy the crystals and glue and use for both bag and shoes I would opt for e-6000 and ss16 clear crystal which are the most popular size http://www.crystalandglassbeads.com/20-swarovski-rhinestones-ss16-nhf to apply them it would be the same principle as the converse or heel tutorial on our blog. I wouldn’t use a gloss adhesive spray it wouldn’t be the right kind of adhesive for bonding crystals to shoes or a bag. Alternatively you can use gemtac glue for attaching crystals to a material bag, e-6000 doesn’t have harmful fumes and is machine washable once dry, but isn’t as strong as e6000 and wont bond as well to shoes as e6000 which is an industrial strength craft glue. I would like to glue flatback crystals to vinyl. What is the best glue? Thank you. e-6000 would provide a strong bond, you just need to careful of the fumes when you are using it. We sell the crystals on our site http://www.crystalandglassbeads.com/20-swarovski-rhinestones-ss16-nhf and also have a tutorial for creating Converse trainers. As regards the adhesive e-6000 is the most popular adhesive which we also supply, you just need to be careful of the fumes. There is a guide on the tutorial as to how many crystals you require, but if you do crystallize a size not listed please let us know how many crystals you use so that we can update the chart. hey thinking of crystallising some converse shoes (rubber and fabric) and havaianas flip flops, as well as plastic phone cases and i know e6000 seems to be highly popular but its also quite toxic which i want to avoid as i’ll be working around kids! What is the best alternative as i would giving these away and the last thing i want is complaints on how crystals fell off etc. PLEASE HELP! i need something just as strong-even stronger if possible that’s not cancerous! I make dog collars and leashes and want to make a high-end collar using swarovski crystals. I use a product called bio-thane…a web-coated material. hot fix will sometimes come off. So I need a stronger adhesive. I’m also going to use a leather collar. So I tried calling a women use makes the collars using an adhesive but wouldn’t tell me what she uses…said it’s copyrighted. anyway, I did try using E6000 on a piece of leather and it seems to be very secure. I also see Swarovski has a Epoxy glue (you have to mix). Would this be a better product? I don’t want to make something that the crystals fall off. Although with anything how it’s taken care of determines how long it will last. E6000, Shoe Goo or Beacon 527 which are very similar would hold the crystals firmly in place, I wouldn’t recommend Hot-fix as the adhesive isn’t suited to leather even without the leather coating. The alternative is Swarovski Rose Pins which are crystals in a setting with a stud backing where you pierce the leather with the prongs and bend them over to provide a secure setting. You can then glue a thin strip of leather over the prongs/stud backs to make sure that they are out of harms way so that the prongs don’t stick in the dogs neck or catch on the owners fingers when they are putting the collar on. Oh thanks!! i’ll have a look! i dont quite mind the fumes as long as they don’t have a cancer warning, so anything near enough would be good? I’d like to cover the plastic Manual Shifter Knob in my car with Swarovski Flat back crystals. Which glue do you think would hold up the longest? I don’t want lose all of my crystals. There are a few ways of achieving the result you require if you want to use rhinestones you can use e6000 adhesive which is very strong, just follow the converse tutorial on our blog its the same principle. If the gear stick end is made of hard plastic the other option is to drill precision holes in the plastic and set foil backed table diamonds into the holes, so the crystals will be firmly held in place. The hole is very small just enough to accommodate the pointed back of a table diamond. If you are just doing it for yourself either method is fine, if you are creating the gear sticks to sell I would recommend the table diamond route as the end result will look more professional and last longer. Would glue is best to fix crystals to glass? And remain stuck of they get wet. Thank you. There are a number of glues that are recommended on the chart that you can use, also there is e6000 which is very strong or GS Hypo Cement which is a Medium-Strength Cement suitable for glass, both are machine washable once dry. There isn’t an adhesive that’s as strong and completely safe unfortunately. You can look at CG 500-35 which is a 2 Component Epoxy Resin Glue, I haven’t used it before but the data sheet again suggests that prolonged exposure to fumes can be harmful to your health. We have a number of customers who use gemtac glue as its non toxic, but I have found that although it has a good strong bond it can on occasions peel off. If you are selling the flip flops/Converse I would suggest looking into using an extractor fan combined with a facial mask with a filter which will remove the harmful particles and eliminate the risk from using epoxy glue. Hi, I want to stick swarovski crystals metal keyrings, i have used e6000 but have found that with time they come off, is there anything that would hold better? You can try GS Hypo Cement, its used for watch repairs i.e glass and metal so should do the trick and is used quite a lot for jewellery making, there is also an adhesive called “Glass, Metal and More” which is manufactured by Beacon Adhesives and is for metal, I haven’t tried it yet but will try and get some to test. The other alternative is one of the adhesives on the chart. I recently paid someone to put rhinestones on my converses. All around the rubber. When I put the shoes on and walked they all started coming away in strips and popping off. I am going to attempt to fix them but I’m going to have to take all of the stones off- she used a hotfix gun I believe. With pre glued stones. Any suggestions how I’d get the surface suitable for gluing again? After looking at the table and comments the main glue suggested is quite a potent one and I’m worried about fumes with a toddler around. Can you suggest another one? equally good for sticking them to rubber please. repeated or long-term occupational exposure. not enough data to make an assessment. My question is when putting Swarotski crystals on a round piece do you put the glue on the surface or the crystal? Hi Robyn Generally i would apply the adhesive to the surface as opposed to the crystals themselves. If your coating the entire surface of the sphere with crystals you can just spread out the clue and then apply the crystals. If it’s just specific areas you can apply either thin lines or dots of adhesive using a cocktail stick or applicator syringe. Note. certain adhesives are runny when first applied so either leave to go tacky and then apply the crystals or use a thicker adhesive to prevent the crystals from sliding on a curved surface. Also wich would be beter foil backed or unfoiled and where can i purchase the crystals from?… Thankyou! GS Hypo Cement should work well as it’s a medium strength acrylic cement and can be used on acrylic without damaging it. The applicator tip is very fine so you wont use that much adhesive but just be careful to use in a well ventilated area as it contains “Xylene” which can cause headache, dizziness, nausea and vomiting so open the window in the room to let in some air and make sure there are no children present. Thank you for the advice – Getting ready to start on the veil. Will let you know how it turns out. I would like stick swarovski crystals to the rim of my bathroom plastic light fitting, (Eterna LA03041 D130 28W Fluorescent Super-Slim Circular Ceiling light)I want to know, which ones would be best and what glue to use. 2. E6000 has a Temperature range: -40 °F (-40 °C) to 150 °F (66 °C), it’s non-flammable when cured, but produces toxic flames if burnt, waterproof (for steam), strong bond for plastic, and dries clear. 3. Gem-Tac unsure of working temperature but its non toxic, waterproof (for steam), provides a good bond on plastic but not as strong as e6000 and dries clear. If you test the lamp shade while its on for an hour or two and then see how hot it gets before making a decision. E6000 would seem the most suitable or if it gets hot there is something like Scotch weld DP610 which has a higher temperature, though I would imagine the shade doesn’t get how as its a low watt bulb. Thank you for your advice, I’m probably going to use the E6000. I need to know what type of swarovski crystals are BEST and longer lasting to put onto swimwear, so Lycra – what crystals would work best and what glue should be used so they don’t fall off whilst in the sun or when the swimwear is being washed. The non toxic glue’s aren’t as strong as the epoxy based adhesives unfortunately especially for plastic. E6000 would be the strongest but its not suitable for going in a babies mouth, as regards a sealer over the crystals it would make the crystals lose their sparkle which comes from the crystals multi faceted face, which if you coat will round the sides and reduce the sparkly effect of the crystals unfortunately. We have a post on the blog for crystallizing converse it would be exactly the same but using ss12 crystals instead of ss16, then you just need to keep the toe away from the babies mouth. Hi I wanted a strong glue that can be used to stick rhinstone on to nail polish, the nail glue that i have given with the product comes of within 2day, would you know of anything that can last up to a few weeks if possible please? and easy to use? Please can you email me back with a reply. You should be able to get nail glue at a beauty supplies shop some people seal the crystals with a top coat to prevent them from coming off while others will set the crystals into a uv gel that’s sets very hard and can also have a top coat to prevent any chipping. Salon Geek is a good place to get advise for nail adhesive and which brands / types of glue are the most popular. Some top coats dull the crystals while others seem to be fine so hopefully you should get the advise you seek there. What type of glue would be durable to use to glue on flatback crystals on to feathers? I was thinking that GS Hypo cement glue would do the trick or the beacon glue. I bought Aleene’s Jewelry an metal glue. When it dried the crystals were frosted. So I am assuming that this glue may have been to strong. Your recommendation would be greatly appreciated. Do you mean the stem of the feather (bit going through the middle) or the actual feather itself? e6000 is usually used I will be doing a tutorial this week that should hopefully be up by the end of the weekend and will either be using e6000 or giving G-S Hypo Cement a try to see how strong it is. If you print out this pdf document http://www.crystalandglassbeads.com/rhinestone-sizes.pdf If will show you the rhinestone sizes and should hopefully help you get the right size replacement crystals. If its very thin, will the crystals just fall out again? Apologies I meant thin in consistency which means that its much like super glue (water like) in texture, where the crystals don’t get swamped under the glue, the e6000 is very thick and needs to be spread out which isn’t ideal when you are trying to repair just one or 2 small crystals. Where as the GS-Hypo Cement has a precision applicator tip so you can just put a tiny amount into the hole and add the crystal. With e6000 you would need a syringe or a cocktail stick for fine application. You can see it being used in our latest tutorial for crystallizing an iphone case. Great site, could you please advise me on what glue would be best to use while customizing my daughters shoes with rhinestones and arts and crafts plastic pieces? Hi Mimi We have a Crystal converse tutorial on our blog which you can find here and I used e6000 which we sell alons with the crystals here as long as you are based in the UK or EU. Have been doing a bit of research on the subject and it seems to be a common problem that the Havaianas seem to bleed out oil from the material which can get trapped under the adhesive layer and cause the crystals to slide under certain circumstances. I’m going to try a few different adhesives over the next week and try preparing the surface slightly differently and will post the findings once complete. Hi Jim I don’t know of any adhesive that you heat up aside from hotfix glue sticks, which would be very messy as you would have to melt the glue to get it on the back of the crystal and then re-melt it to attach the crystals to a surface. Hotfix crystals have a foil backing and then a primer layer which bonds the un-melted hotfix glue to the foil backing. put crystals on shoes. Which is the best of Gem Tac Glue, E6000, GS Hypo Cement, Beacon 527? And also what type of crystals do you recommend for shoes. Clear, AB,.. When you will have again chart on stock. The best glue would very much depend on which material the shoe is made from as regards Crystal or Crystal AB, the clear is by far more popular for shoes, the AB has a lot of pinks and purples in the crystal while the clear just looks like diamonds with subtle colours in the glass.We haven’t been able to get any charts unfortunately but once we do we will put them back up on our site. Hi, I want to add swarovskis to a tracksuit which is mostly cotton, I’m actually adding it to the design on there already which is a canvas type thicker cotton, I am considering gem tac but I want it to be very hard wearing and washable and in the past gem tac has washed away stones, is there a strOnger glue that I can use? Have you tried Hotfix crystals? As regards adhesive I will give a few adhesives a try this week on canvas as a comparison and the put through a wash to see which glue provide the better bond. Will post the finding once it’s complete. Hi Khaled – any luck with your research on E6000 getting soft and the crystals sluffing off the Havaianan’s when the oil seems to bleed out? I have about 8 pair that I now will have to take all crystals off and re-glue but am totally gun shy to use E6000. Would really appreciate any information you have. I’ve been washing the sandals, clipping off the letters, washing again with a strong wire brush, drying, sanding with a plastic sanding block, and wiping off with alcohol or acetone prior to setting with glue – but they are still sluffing off. Funny thing is – I have two pair (about 2-3 year old) that I crystalized and they are still put – did Havaiana change the composition of the sandals? I think the Havaianas material has changed, will post the results in the next few days, just waiting to see how the glue settles for a few days before posting the results, fingers crossed one will be successful. The past pairs of flipflops I have done there hasn’t been any problems but the last pair I also had sliding after a few days. I wanted to stick some swar crystals to a plastic hairclip, what would be the best glue to use please? E6000 would probably be the most suitable adhesive although many hair clips are made using Swarovski Bicone beads where the beads are attached to the clip by wraping wire around the clip and threading bicone beads onto the wire. Do you know of any other crystals that are similar to swarovski or where i could get swarovski crystals for a good price? We supply Swarovski Elements which you can find here the nearest thing to Swarovski would be Preciosa but we don’t stock Czech crystals unfortunately. Gem-tac or Fabri-Tac would be my first choice they both works well on fabric but are quite thin in consistency you can put some into a small container lid and wait a few minutes for it to thicken up (for doing the embroidered lettering) or try e6000 which is a much thicker glue to start with. You can buy both fairly cheaply so I would do a test on the material with one or two crystals first and leave for 24 hours then see how well it bonds before completing your design. Hi! I am having difficulty attaching swarovski crystals to the edge of bottlecaps (outside edge), and having them stay put. The glue needs to dry crystal clear, and be waterproof, so what glue/adhesive would you suggest for this use? E6000, gemtac or GS-Hypocement would all work, if the cap is at all flexible don’t use the GS-cement or the adhesive bond wont last, the strongest of the three would be E6000, just give the area of the cap you intend to crystallize a light rub down with sand paper/emery cloth (if the cap is plastic), wipe the surface clean (if it’s greasy use rubbing alcohol to clean) then you can apply a tiny amount of e6000 with a syringe applicator or cocktail stick and add the crystals. Only add enough adhesive for a few crystals at a time so that it doesn’t dry too quickly. I haven’t used acrylic crystals but from what I’ve read in the past e6000 can discolour acrylic crystals and dissolve the plastic foil backing, so I would opt for gem tac or go for a glass crystal if the surface requires an adhesive like e6000. I am trying to glue swavorski crystals to card stock for table numbers for my wedding. What would be the best way to apply them, very neatly? I have the hot fix gun, but it’s a little hard to get the stones out. We used to make handmade cards, you can still see some of the cards on the site although we no longer make them. http://www.scruffymoo.com We used to use non-hotfix crystals and gemtac glue, it gives you a very good bond, the alternative is hofix, which is less messy but I prefer to add them manually with adhesive as I feel there is more control. Will do a step by step guide for creating handmade cards, wedding stationery from choosing card stock up to printing if it would be of interest, although will take me a bit of time to put together. I would say gemtac glue would be the most suitable and easiest to use, you just need to take care when machine washing so that the crystals don’t get knocked off. what glue do i use for the rubber part of the converse? and whats the best crystals to use? Hi I have a pair is crystallised converse but they have got a bit dirty and would like to wash then what would be the best way without loosing any crystals? The crystals usually come loose from bumping into the side of the drum, so if you intend to put them in the machine first put them in a pillow case and in the middle of a load of towels to cushion the crystals from the machine side and wash on a cool temperature. Don’t use a powder that contain a bleach as its not good for the canvas. Washing in a machine will usually lighten the bright canvas colours so if they are not too dirty the Converse material can be cleaned with soap water and a tooth brush or a sponge for the rubber, this method can also be used for remove a stain prior to the trainers going in the machine. Once you have washed the trainers leave them to dry on the line naturally don’t put them in the tumble drier as the heat will damage the trainers. Hope this helps. What is the best way to glue clarus crystals to tote bags made out of denier 600 fabric? I have used Gem-Tac, but the crystals don’t stay on very well. I need something very strong and waterproof, and can hold up to everyday use. Thank you! I would like to adhere swarovksi flat back on to glass cabachons and I don’t wnat them falling off. Which adhesive should i use? I am in the process of doing an adhesives test on a glass mirror and will have the results in a few days. I have done a test a week or so ago with a number of different adhesives on glass, gs hypo cement, e6000, shoe goo, gemtac and glass metal and more and all work well for glass. Tried scratching each on the crystals off but they all held firm and soaked in warm water for over 2 hours to see if it would damage the bond but each of the glues held firm. So back to the question which I would recommend although gs hypocement is the easiest to use Its also the most brittle from past experience so I would have to say gemtac or e6000, the benefits of gemtac is that its non-toxic where as e6000 is an industrial strength glue so there are trade-offs for both. Hope this helps and will get the full write-up of the test up today. I haven’t used the CG-500 but will be getting some in the new year to try, I have used a different 2 part epoxy in the past though and found it to be easy to use as long as you follow the instructions carefully, if you add to much compound or hardener it doesn’t set well and can make a mess or set much too quickly or not at all. I did have a discussion with a lady from Swarovski last week about the glue and she was confident that on the tests they carry out the CG-500 gave a very strong bond except on the surface of leather where it wasn’t so good. Sorry I cant be of more help but will post the test results when I try in 2013. The E6000 does dissolve the plastic/foil backing on acrylic or similar stones and makes the crystals go cloudy so is no good unless you use glass crystals. You could use gemtac which shouldn’t give any problems and e6000 for the metal embellishment. I repaired a metal decorative buckle on a shoe not long ago and found it a job to stick on straight, in the end I ended up coating the back of the metal jewel buckle with e6000 and leaving to dry for a few minutes along with a patch on the shoe, then gluing the two glued areas together, which gave a very strong bond and hasn’t weakened to date. If it’s a small metal embellishment you may be fortunate enough to glue it on in one go with e6000 as its quite thick. I am using rose 4mm S crystals on my babies crib soft converse but as I got to the middle i couldn’t find a way of fitting them in!! Now they have gaps any advice ?? Hi Zoe you can use a smaller size of crystal to fill in the gaps, usually I would use ss12 but it would very much depend on the gap size we have from 1.8mm upwards but it would most likely be the ss12 3.2mm or ss9 crystals you would need for a gap. You can get everything you need here just select the size and the tools and adhesive are also on the crystals page. http://www.crystalandglassbeads.com/19-nhf-swarovski-rhinestones The e6000 adhesive will give the strongest bond but you can also use gemtac if you don’t want an adhesive that has strong fumes. Hello I’m wanting to embelish my.onsie round the hood and across the back would gemtac be best suitable and 3mm swarovski crystals?? What is the best glue to use? I want to do the toes and the canvas on a pair of converse? Can I use the same glue on both parts? I would opt for e6000, just make sure when you add them to the converse that you hold the crystal/adhesive in place with an orange stick until it gets a good bond with the fabric, which may require a few seconds of holding each crystal in place (much like the second shoe tutorial). Hi, i want to add rhinestones to clothing but i know i would need to wash how do i keep them from falling off like the stoned on my bebe clothing? those.never.move after washing over 100 times? Hi Kay, I would try hotfix crystals which are designed for clothing, you use a hotfix applicator to apply them or an iron with the steam turned off. As regards washing powder don’t use one with bleach in or it will degrade the adhesive and wash on a lower temperature, with the clothes turned inside out to protect them from the side of the machine when washing. The adhesive also needs to be protected from heat, so its not recommended to tumble dry clothing, but if you have to use a low heat again with the clothes turned inside out. Hope this helps. I recently customise a shoe with beads using pva glue, unfortunately the beads are falling off when I walk and the dry glue is now visible. I want to buy a new shoe and customise it with beads and small Swarovski crystal. Which glue would you recommend , the beacon 527 or e6000. I want something that will hold the beads and swarovski crystal for a long time. Please help. Thank you. Hi Amani What is the shoe made from? Thank you for getting back to me. The shoes are made from Denim, Silk Satin and very thin Velvet. Also what glue is best to customise sunglasses with beads and Swarovski. Hi Amani If you have a look at this post http://www.crystalandglassbeads.com/blog/2012/the-ultimate-adhesive-guide-for-swarovski-flat-backs-and-fabric.html I tested a range of adhesives and different fabrics to see which gave the best bond and for the materials you are using crystals on it would be a combination of Gemtac and e6000 for providing the strongest bond. What is the best glue for PVC please? I have a pair of DMs that I’d love to customise up the back heel strip. Hi Ermine I would suggest e6000 as the cheapest solution which should give a good bond, the alternative would be Swarovski’s own Glue called CG 500 which is a two part epoxy resin so you have to mix it together which can be a bit of a pain and is quite expensive to buy if you are on a budget. I would give the surface a wipe down with alcohol and then test a small area with e6000 leave for 24 hours and then try rubbing against them to see if they budge. If they don’t then you can complete the strip, if they don’t you will be able to remove the glue with a little nail varnish remover, but the e6000 packaging states that its suitable for sealing PVC so I would suspect the bond will be a strong one. 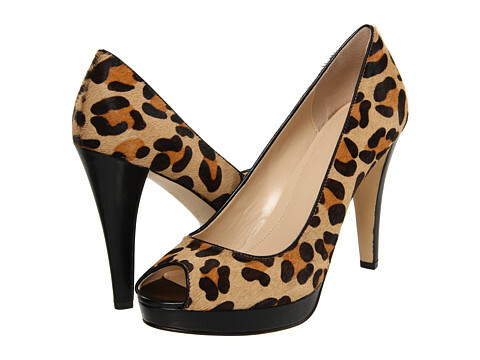 I have been contemplating strassing a pair of leopard print shoes. From what I’ve seen so far, calf hair appears to provide the most distinct pattern to follow when gluing the crystal colors (light colorado topaz, smoked topaz and jet). I know e6000 works well on suede, but what is your opinion of successfully gluing to calf hair? Here is an image of the shoes I’m thinking of using. Hi Michelle e6000 in theory should provide a stronger bond on calf hair than suede because of the fibers, the issue with using e6000 will be that you will most certainly have to hold each crystal in place for a good few seconds(pressing down with an orange stick) for the glue to take a bite and hold firm as with suede, once you press it into place it falls off straight away unless you hold the crystal in place while the glue seeps into the fibres. I might be inclined to try a few crystals using this method (http://www.crystalandglassbeads.com/blog/2012/swarovski-crystal-shoes-tutorial.html (don’t forget to wipe excess glue away after adding each crystal)) for the test hold each crystal in place for 20-30 seconds just to see how strong the glue will bond, that’s the deciding factor, then the next time you can hold for less) leave for 24 hours and then try the crystals to see how well they bond, before proceeding. If the results are unsatisfactory try holding the crystals in place for a little longer and try again or use gemtac, but I would leave the top off the gemtac bottle for a few days first to thicken up the glue as its very runny when first opened. As regards colour have a look at Mocca (very dark brown), Topaz (brown/amber colour) and Light Colorado Topaz. hi khaled, may i know which glue work best to stick Swarovski crystal on nails (polished nails n gel nails)? Hi Ace If you are going to be doing a lot of nails UV gel is the best option, you add the crystals to the gel and then harden them under a lamp. If you are using false nails you can use a nail glue for the crystals or they can be applied onto tacky nail varnish. I will try and do a post testing the various methods and results once I get a chance. Hi, What glue would you recommend for a microphone? Hi T I would opt for e6000, gs-hypocement will do the trick but any knocks will result in crystals coming loose, where as e6000 forms a rubbery cushion between the microphone and crystal which absorbs impact. Are there any set rules regarding which glues to use when working with SWAROVSKI. I have both E6000 and GemTac. I prefer to use GemTac as there are zero fumes and I work whilst looking after my baby so ultimately it is safer than the E6000 fumes wise. Can I use Gemtac for all surfaces that are popular for the embellishing trend? Gemtac will provide a reasonable bond with most surfaces, but its not always the best solution, if you look at the post testing various fabrics you can see sometimes e6000 provides a stronger bond than gemtac, but the downside is the fumes, so it would very much depend on if you are selling the crystallized items or not. If you are I would recommend going with the strongest possible adhesive, if not then gemtac is strong enough, or if it’s for fabric consider hotfix as an alternative. It would be the e6000 glue and the crystal size would depend on which part of the trainers you are trying to cover we have a Nike Blazers tutorial how to crystallize the tick which uses 3 crystal sizes, if you want to use less sizes I would suggest the ss16 and ss12 as they will allow you to get more into any corners than larger sizes. Hello, I am making candles and want to fix swarovski crystals to the glass jar. What would you recommend for glass that will obviously heat up and cool down several times? After the candle is burned, I want to be sure that the crystals will stay on through washing etc, if possible. I appreciate your help! I will do a test first and post in a few days the results. don’t want to sell something that might become flawed. work on the non folied. Thank you!! The e6000 glue wont eat the foil backing on Swarovski crystals, it only eats the foil backing on acrylic crystals or cheaper chinese crystals with a plastic foil backing. It may be worth considering Rose Pins for the leather collars depending on how thick the leather is or if the leather is very thick there are Swarovski Rivets. The non foiled crystals when glued onto a surface aren’t sparkly at all they are really for putting into settings where light can pass through the stone. It’s the foil backing that reflects the light and makes the crystals sparkly. Hi Brooke I really wouldn’t want to recommend a glue for a baby’s dummy, GS-Hypocement is toxic, e6000 is toxic, gemtac is the only one that is strong and non toxic, but I wouldn’t trust a glue if a baby is going to put it in their mouth as no matter what glue you use if they bite the crystals they will come off. Hi I am in the process of looking for a pair of louboutin’s and I and going to be strassing them. The shoes are a patent leather. What prep and glue would you recommend? I will be using swarovski crystals to Strass. Hi Lorraine There is no Glue that really gives a long lasting strong bond on most leathers unless its quite rough, although I haven’t tried patent leather yet. It would either be e6000 or Gemtac glue, but im not sure if either would provide a long lasting bond. I would be inclined to buy a cheap patent leather purse of ebay and test before buying the shoes to crystallize them. I know this is not the right forum for my question, however does anyone know where to buy Swarovski flatbacks in bulk wholesale ? Thanks a bunch. Hi Sonja we have a Swarovski Wholesale crystals section where you can buy bulk packs of crystals if there is a colour or size you need that’s not available just let me know and we can order it in. Khaled, I will be using Swarovski crystals as well as Delica beads to dress up a pair of sunglasses. Do you have a suggestion for an adhesive for this application. I may do more than one pair of suglasses for friends. Your advice will be helpful. Hi Barb I would suggest e6000 as the strongest adhesive, but you may have some problems with the delica beads as they are so small. If you are patient you can either use a syringe applicator or cocktail stick to apply tiny amounts of e6000 adhesive at a time. If you find this a pain the alternative is gemtac (leave the top of the bottle for a few days and it will thicken up a little which I find better to use it doesn’t dry up just forms a skin which you can pull off. It will be easier then e6000 as it’s a lot thinner but the trade off is that the bond is as strong as e6000. Don’t use GS-Hypo Cement as its too brittle. Hi Khaled I’m currently trying to find a glue to use on my wedding displays to sell, the material I am going to glue the swarovski stones to is styrofoam and acrylic smooth plastic… Firstly please can you advise which glue would give me the best hold as I am a bit apprehensive about E6000 as its toxic and I will be using possibly 2 tubes of glue per week?? ?please advise…. Hi Jodie E6000 wouldn’t be suitable with Styrofoam as it will melt it but gemtac will be fine for acrylic and I would guess it should be fine for styrofoam as there are no nasty chemicals in the adhesive that will melt the foam. Gemtac will be fine on foam flowers we used to use it for handmade cards and it would stick pretty much anything to the cards, foam, metal, crystals, flowers etc and gives a good strong bond. I’m interesting in applying Swarovski crystals in several sizes to a pair of Jessica Simpson’s patent leather platform shoes for my daughter for her wedding. I can’t bring myself to use Louboutin’s (just in case they don’t look as great as I’d like them to) Do you know if the E6000 will possibly shrink the shoes? Your help would be most appreciated. Hi Rose E6000 shouldn’t shrink the leather as it doesn’t dry hard and shrink but remains flexible. I haven’t tested patent leather but have read a number of threads where gemtac has been successfully used on patent leather, if you do decide to use gemtac bear in mind that its a lot thinner in consistency than e6000 so you either want to leave the top of the glue for a week or 2 to thicken up the glue or when you do apply the glue to the leather leave it for a minute or 2 before applying the crystals otherwise they will slide down the surface and make a mess. Yes you can use hotfix with Gemtac and they will look exactly the same, the hotfix glue is attached to the foil backing on the crystals with a primer, so that will be the only weaker point but the bond is pretty strong so crystals as long as they aren’t treated roughly will be fine. If you do find that come comes free which also happens to the non hotfix over time as they take knocks, you can just use a cocktail stick to apply a dab of glue and press a replacement crystal into place. Hi I’m using E6000 to embellish my prom shoes with hot fix crystals I’ve noticed that some of the crystals are cloudy..Is there anything you recommend to make them shine again without making them come off the shoe? You really want to use the non hotfix crystals with e6000 if at all possible (they are cheaper for 1 than hotfix and the hotfix is bonded to the foil backing with a primer so you are giving yourself an extra layer of potential weakness), but the crystals shouldn’t go cloudy if they are glass. It sounds like you may have acrylic crystals which don’t go well with e6000 because the adhesive melts the foil backing and clouds the crystals. I would remove the crystals and replace them using gemtac glue which won’t cloud the crystals. If they are Swarovski, Preciosa or another brand of crystal glass then the chances are that the crystals just have glue smeared over them which will make the surface dull, to rectify this problem use a cotton bud with some acetone nail varnish remover on, remove the excess liquid so that it wont drip and gently rub the surface of the crystals to remove the offending glue. Try not to get any on the adhesive holding the crystals in place though and if the crystals are acrylic don’t try this as it wont help and may make the crystals worse. E6000 would be the right glue and you shouldn’t have any problems, if you are how have you prepped the toe and what brand of crystals did you use with the e6000? I recently crystalized a pair of havianas flip flops using e6000….. Left them for more than a week and then when tried them on crystals instantly lifted with the glue attached, the glue does not seem to bond to the rubber flip flop strap! I am thinking of picking them off a d re crystallising them from scratch …… what glue do you recommend and any advice ? I have actually done a few pairs previously with this glue and never had any problem and those flip flops are still going strong ….. This seems to be a new issue that’s arisen ? It appears that no glue seems to work on Havaianas at present as they all go soft and I have no solution at the moment sorry, it appears that the problem is the very chemical that makes the rubber soft is bleeding out of the flip flop strap into the adhesive and making it soft. If We do manage to find a solution I will post on our site. Hi. Can you please tell me the best glue for Swarovski ss4 non hot fix crystals to be fixed to gelish nail art? If I fix them to the gelish polish then use the Gelish “top it off” the crystals lose their sparkle :(. I’m using super glue at the moment, but its too messy and not precise enough. The most popular methods of application are directly to the nail varnish, using a uv gel and setting the crystals into the gel then hardening or alternatively for stick on nails nail glue. I wouldn’t recommend super glue and there are quite a few videos on youtube for nails where you can see the various application methods along with top coats being tested and the result. Is there any kind of sealant to provide a stronger bond ? E6000 is still the best alternative for Converse, but there isn’t anything suitable that doesn’t go soft on Havaianas at present. Hi, have you found a glue that works on Havaianas yet?? Hi, which is the best glue for using acrylic rhinestones on for example a heel? E600 makes them cloudy and peels off the foil backing, and gem tac doesn’t hold as well as E6000, any suggestions? With the acrylic stones the e6000 melts the foil backing and clouds the crystals because of the chemicals in the glue anything else of a similar strength would also cause the same problems, the best solution would be gemtac what kind of material is the heel made from? I want to crystallize my phone case it’s light weight PVC plastic and I’m just wondering what crystals you’d recommend and glue? Also what king of glue and crystals for ugg boots? Do I need a sealer for them to stay put? Hi We have a tutorial for crystallizing a phone case which might help http://www.crystalandglassbeads.com/blog/2012/how-to-make-swarovski-iphone-case-tutorial.html the best adhesive would be e6000 of if you don’t like the fumes gemtac which is also quite strong. As regards ugg boots you can see how various crystal sizes look here Ugg’s Crystal sizes as regards adhesive e6000 works if you hold the crystal in place for quite a while for it to get a bite into the fibres, the alternative if gemtac which is a lot runnier so will bong with the surface a lot easier again here you have to have some patience to let the adhesive thicken when it’s applied if you don’t and the surface is curved the crystals will slide with the glue. Hello! Your website is so helpful. I’ve always wondered how high end designers attach swarovski crystal to their clothing, or brands such as True Religion, Victoria’s Secret, Juicy Couture, etc. Thanks so much!! Thank you for the comment for clothing most fashion designers would use hotfix crystals for clothing, but non-hotfix for footwear. Hi Jelena Hotfix are more commonly used for dance clothing as they are specifically designed for fabric and you don’t have to worry about getting adhesive on the crystals. You can use either method but the thing that puts people off using the hotfix crystals is the initial expense of the applicator tool. So in answer to your question you can use either glue or hotfix but my preference would be hotfix crystals. Hi there, yesterday I was trying to make a cellphone case with acrylic rhinestones and I noticed that when I used e6000 it made the rhinestone cloudy/bubbly. Is there a better glue with this? I’ve seen other people make cases and it seems that they don’t have this problem. Please help me out! Its easily resolved, the solution is to use a better quality rhinestone like Swarovski or Preciosa or to use something like gemtac glue which is less abrasive. The problem is that you are using acrylic crystals with e6000 which melts the silver foil and clouds the crystals. Hope this helps. I would like to glue flatback crystals to my motorcycle plastic side covers, Gas tank & helmet. What is the best glue for heat, vibration & water proof? Thank you. Hi Shaundie as regards the helmet and plastic side covers e6000 would probably be your best option or UV-6800 (same as e6000 but uv stable doesn’t yellow in UV light) if you can get hold of it. Its an industrial adhesive so should be fine but I would be inclined to check on EclecticProducts facebook page to ask if the glue will interfere with the plastic strength before using you can find their facebook page here. As regards the gas tank you will need a special high heat adhesive to prevent the glue malting or catching fire if your tank gets hot UV-6800 has a Temperature range of: -40 °F (-40 °C) to 150 °F (66 °C). I would like to crystallised leather baby newborn shoes and I wont to know what type of glue is the best choice for that lether baby shoes? I have read that E6000 has good bond but it is not good for baby? Nothing gives as strong a bond on leather as compared to rubber or plastic but of the 2 e6000 is toxic so I wouldn’t use on a babies shoes in case they swallow some of the adhesive. Gemtac on the other hand is non toxic and I have found on some leather items it gives a stronger bond than e6000 which tends to come away at the edges on some leather after excessive bending. gemtac is also non toxic. I have one more question.What kind of glue is the best for crystallize lamp (made.of glass) with swarovski nin hot fix 2058? I have tested a number of adhesives on glass of the ones tested e6000 and gemtac give the best long term bond because some of the others are brittle if knocked and the adhesive cracks. E6000 or gemtac don’t suffer from this problem, if the lamp gets hot e6000 can withstand temperatures of up to 150 °F while gemtac is claimed to be a unique formula actually gets STRONGER when exposed to heat. I did a hair drier test for a customer, where I put the hair dries on full for 5 minuted on set gemtac and crystals, it softened ever so slightly but hardened again as soon as it cooled. If you have both adhesives you can perform a test applying 2-3 crystals using each glue onto the base of the lamp and try picking them off after 48 hours. Hi i need help on this , I want to know what kind of driller or how to drill on eyeglass lens or frames or bracelet to rim in crystals or swarovski ? this may sound crazy but I was wanting to add Swarovski crystals to my BBQ grill. I know e6000 will not work because the heat rating is 150F. I was hoping you knew of a high heat resistant adhesive I could use. Crazy glue can be used on metal once it’s free of any grease but the chemicals in the adhesive can damage the foil backing and cloud the crystals. I would be more inclined to look at Araldite if you want a permanent secure bond without the risk of damaging the crystals. I wish to add Swarovski crystals on a Wedding dress, What type of glue should I use for the fabric that will not make the pop off? Hi Brenda Have a look at our latest post for crystals on fabric http://www.crystalandglassbeads.com/blog/2014/hotfix-vs-non-hotfix-crystals-clothing.html I would recommend going for either E6000 which would be the strongest option or gemtac if you are worried about the nasty fumes. If you intend to have the dress dry cleaned after the wedding then I would consider Hotfix Crystals as the chemicals in dry cleaning will eat any non hotfix glue (If you are not going to have it dry cleaned this wont be an issue). I have a belt that is full of rhinestones, I had to return one to the store and replace it because the stones kept falling out. Is there a way to seal the stones on the belt without clouding the stones as they are not all pointing in same direction. Some are on sides of stone and some upright. You say some of the stones are on their side is it crystal rock the belt is coated with (lots of tiny pointed diamonds) ? are the crystals Swarovski or Preciosa or are they acrylic? I have heard of some people using something called ModPodge but I have never used it. It wont stop the crystals from coming loose but it will hold them in place as there will be a thin plastic layer coating the surface when the stuff has been applied much like using nail varnish. If the crystals are glass you can use e6000, or gemtac to glue them back into place if you are lucky enough to find them when they come loose, if the crystals are acrylic they will melt/cloud if you use e6000 so will have to use gemtac or something similar. I want to embellish a Tpu (rubber, silicon, gel) cell phone case. Should I use gem tac or e6000? Thank you! The more flexible the case the more likely it is to loose crystals, TPU Cases are a lot firmer than the silicon rubber cases so would be the better option of the two. Why crystals come free is because the crystal/glue/case bond becomes over stressed from flexing and the glue crystal comes free from the case or the glue from the crystal in which case it falls off. E6000 would be the stronger adhesive of the two and if you lightly rough/scratch the surface before crystallizing it will also give a better platform for the glue to bond to. Hope that helps. I crystalize wine glasses, and up until now have used E6000 glue with non hotfix flat backed crystals with no issues. I have recently used non hot fix AB crystals and I’m finding that the crystals are not sticking? Is there a different glue I could use that would give the same strength and waterproof properties as E6000? You could try Araldite/Epoxy resin (don’t choose the rapid quick drying one as it doesn’t leave enough working time) which dries hard but is very strong and hard wearing again you will need to make sure that the glass is grease free before crystallizing. If it’s for personal use the other option is gemtac which gives a good strong bond and you can see it being used in our glass tutorial, the downside is it will soften under prolonged heat from washing if you are putting in a dish washer or soaking the glass in a bowl of hot water. Thanks I’ll give that a go, it only seems to be an issue with AB coated crystals? Something in the coating is rejecting the glue. They should be the same are they the same brand bought from the same place? Quite a number of our customers crystallize converse with ss16 Crystal AB and I haven’t heard of any problems to date. will the E6000 be suitable for cone shaped crystals glued to resin? It should hold fine if you are attaching to resin it may be worth considering Araldite epoxy resin which should also give a strong bond (be aware that if you are using acrylic crystals you will need to use a less abrasive adhesive as e6000 will melt plastic foil backing and cloud acrylic crystals). What would you recommend for applying the crystals to silicone? For different projects, I’ve found nothing that sticks to silicone. It also needs to be waterproof. Verify you tecommend E6000 for crystals to metal and that it is waterproof? There should be a similar product that’s available in smaller quantities, would be worth contacting the manufacturers facebook page or email. Jo Joanne I have tested hotfix pearls and flatbacks with e6000 and gemtac and both have no problem at all the bond is strong. As regards the question you cant use hotfix for metal as the glue on the back of the crystals/pearls isn’t meant to bond with metal, it will stick for a small amount of time and then come away. If the crystals are only available as hotfix you can use gemtac, e6000, epoxy resin to bond to metal, if they are available as non hotfix however that will be the better option and cheaper. Hotfix crystals are the same as non hotfix with a heat sensitive coating which is applied to the foil backing with a primer, so although the bond is strong you will be potentially adding 2 extra layer of weakness by using hotfix which you won’t have with non hotfix (Metal/glue/hotfix/primer/foil backing vs Metal/glue/foil backing). Hi i want to try and crystalize my car this will be my first time crystalizing anything so i want to know what is the correct glue touse that can withstand heat , and different weather conditions and allows the car to be washed? Also is there any particular crystal i should use? It would be the Swarovski or Preciosa non hotfix flatback crystals would be the best kind to use. As regards adhesive you need something that’s going to be UV stable, resistant to cold weather so that it doesn’t become brittle, resistant to salt (if you live in a country with icy roads in the winter), resistant to heat if you live in a warm country, will bond to paint, vibration resistance as certain parts of the car will be prone to vibrations from the engine or exhaust and resistant to detergents used to wash the car. I haven’t crystallized a car so can make some suggestions to contact the manufacturer and enquire as to the suitability of the adhesive one would be, UV6800 from Eclectic Products (it’s industrial strength UV stable and for outdoor use), Swarovski’s own adhesive CG 500-35 (2 part epoxy) or look one of the adhesives on the chart and contact the manufacturer. I would guess you will be applying a lot of crystals so you need to be 100% sure and the only way is to get the data sheet for the specific glue’s from the manufacturer and see if it covers your needs. I have a gold plated Swarovski necklace from Debenhams, with a single Crystal in gold colour droplet which has come un stuck from the encasement which is to be glued back to metal , can you please recommend which jewellery glue to use to stick the gold coloured Swarovski Crystal back in place please. GS Hypocement (red one) would be the easiest to use if it’s to stick a crystal back to jewellery, it’s very thin in consistency and has a nice long needle like applicator nozzle for application. I have a Ed Hardy purse it has stones with prongs and the prongs pick and catch on my clothes. what can I do to fix it? I love the purse but can not use it like it is. Hope one of these suggestions helps and if any of our readers have a suggestion I would be happy to pass on. It’s not something we sell sorry but if you Google it there are plenty of places where you can buy. I haven’t used Velour but for similar materials e6000 offers the strongest bond, it does have nasty fumes however for which you can wear a protective mask which you can pick up from a diy store for around £10, it has a filter cartridges for removing nasty chemicals from paints, glues etc. Gemtac can also be used and should offer a reasonable bond the difference between the two glues can be seen when you try and pick a crystal away, with gemtac it’s relatively easy to pick off but with e6000 the bond is strong so not so easy to pick away. Your other alternative is HOTFIX to see if the material is suitable you can do a water test. Add a drop of water to the fabric if it’s easily absorbed hotfix will work and offers nearly as strong a bond as e6000 on fabric, if the water droplet stays on the materials surface then hotfix isn’t suitable, so the option is then e6000 or gemtac (which im my opinion and from the tests done by myself offers the strongest bond). E6000 can be used but if the case bends excessively then the crystals will come off no matter what adhesive you use. Of the adhesives on offer e6000 is industrial strength and would offer one of the strongest bonds. If you intend to completely cover the case it will be worth purchasing a harder case to cover with crystals and a lot more cost effective than constantly replacing lost crystals. If its just a few crystals on the flat face of the case and not around the edges the crystals will likely last longer as the material won’t flex as much in this area. Hi, i was wondering if you could help me with my project. I’m making binged out horse boots ( professionals choice smb II)boot if you want to research it to see the type of Velcro fabric is) I’m blinging the Velcro parts well the outside of the velcro it’s like a Nylon or plastic fabric I really don’t know how to describe it. But it’s no the sticky part of the Velcro it’s the outside. What glue do you recommend for this material I bought some E6000 and Aleenes fabric tacky pack combo that has no-sew fabric glue / jewel it and ok to wash. Do you think I could mix them or use only one of them or buy another tipe of glue , please help me I really want this to stay stuck and not fall out while riding my horse. Thank you in advance. I would opt for the e6000 which is an industrial strength adhesive where as the other glue’s are just craft glue. As you have all the adhesives it would be worth doing a test of one crystal with each adhesive leave dry and then try to pick off the crystals (providing it won’t damage the boots) I would suspect the outcome would be that e6000 would give the stronger bond. Also consider how you will be washing the boots after they are worn as many adhesives aren’t machine wash safe so that should help to eliminate some of the adhesives from your testing list. Thank you so much Khaled. I want to bling some metal sports bottles what would be the best application method and medium to do this with? Thank you. It would be using non hotfix flatback crystals you can either opt for e6000 or 2 part epoxy resin which sets hard but is still slightly flexible. To apply the crystals I would opt for using the Crystal Katana tool all of which you can see here. http://www.crystalandglassbeads.com/19-swarovski-flat-back-crystals-non-hotfix-rhinestones in various shapes sizes and colours. The most popular size for crystallizing with would be the round crystals 2058 where you can pretty much fill in any design or pattern using a variety of sizes, we have a number of tutorials on our blog which will show you how to crystallize and will demonstrate the tool I have recommended. Hi. I wanted to glue some swarovski crystals to the trim on my mototcycle. It needs to be very durable and waterproof. Some of the areas do get hot from the engine. Would you recommend the G6000 or the Beacon 527? I Haven’t used Beacon 527 I would speak to the manufacturer Beacon who you can find here Beacon 527 As regards e6000 it would depend on how hot the body get’s for outdoor use E6800 would be more suitable as it’s the same as E6000 but for outdoor use, it’s UV resistant, suitable for vibrating surfaces, salt water resistant and can withstand temperatures between -40 °F and 150 °F (-40 °C and 66 °C). You can find the data sheet for E6800 Here. Hope it helps and let us know how you get on. What temperature did you wash at and have you seen our Glue vs washing machine test. Which I tested various glues for 10 wash cycles. Anything with crystals on would have to be either turned inside out or placed in something like a pillow case to protect the crystals in the wash if its going in with other clothing or the banging around against other items can knock the crystals off. Gemtac gets very soft once it comes out of the wash, if laid out flat the glue re hardens and the bond becomes stronger again, but for washing e6000 is a much better option. Hi, I’d like to embellish domino jewelry and after doing a little research I am still not sure what glue to use. I tried the hot-fix metal bits to test and they don’t hold up very well and would likely pop off within a short time of wearing; I could easily scratch them off. I’d like to attach crystal rhinestones, nailheads, other metal bits, etc. Thanks very much for your help. You could use e6000, gemtac or epoxy resin to set the crystals onto the domino jewelry with non hitfix flatback crystals as opposed to hotfix which is designed for bonding with paper, card or fabric. Thanks Khaled for your quick response. E6000 is a bit too messy/stringy and not easily controlled to make the tiny dot needed… I tried :o). I purchased gem-tac yesterday and have applied the metal bits. Now just need to wait 24 hours to see how well they adhere to the domino. I also roughed up the area with an emery board before applying; these bits are running along the narrow sides of the domino. I believe these tiles are made of polystyrene plastic if that makes any difference. If you are using e6000 squeeze some out onto a piece of paper /card and use a cocktail stick to apply. It enables you to use down to ss5 crystals with no problems because the tiny tip allows you to add a precision dot of e6000 which if you twist the cocktail stick when placing stops any stringing. As regards the e6000 glue for your project it’s probably a good idea you didn’t use as it can melt materials like styrofoam or nylon but gemtac should work well. Update… the Gem-Tac worked very well. After setting for 24 hours, I tried to scratch off the metal dots and they wouldn’t budge. Glad it worked and many thanks for letting me know. I’m trying to glue flatback foiled rhinestones to metal paperclips. I’m using E6000 and the adhesion is great however the E6000 is sort of melting the foil and making it look funny from the front. Is there a different kind of glue I can used that will create a strong bond between the metal of the paperclip with out hurting the foil? Hi Mandy the problem sounds like you are using acrylic crystals which have a plastic foil backing. E6000 will eat the foil and cloud the acrylic crystal. You will need to either use something like Swarovski or use a less abrasive glue if you intend to stick with the acrylic crystals. Try gemtac. Thank you! I thought about that after I asked the question. I was practicing with acrylic to make sure it would work and look the way I wanted before using my Swarovski, I don’t want to ruin any of them! I’ll try it with a Swarovski one tonight! Thanks! Hi I would like to decorate sunglasses with Swarvoski Crystals to retail please can recommend the right type/size of crystals and the best glue. I want to apply swarovski crystals to a cathedral veil all along the edge…I have E6000 glue, but I think this is too heavy of a glue….what are you thoughts or is there another glue that is just as strong but such a heavy glue. Hi Sue Gemtac is a lot thinner in consistency but either will work well if applied using a cocktail stick so that only a tiny dot is applied at a time. If you are using e6000 squeeze a tiny bit out of the tube onto a piece of card and work from that which will only last a few minutes. If you leave the top of the tube it rapidly thickens in the nozzle and becomes difficult to work with. By working with a tiny blob from the tube at a time you wont waste much and keep the glue in the tube nice and runny. With a bottle of gemtac leaving the top off doesn’t have the same problem. Hi Khaled, are you any closer to solving the problem of which glue to use on havaianas? I have tried E6000 and hypo-cement, neither of which are suitable! Thanks. look forward to hearing from you! Fingers crossed will have one in the next month, just need to be sure the glue doesn’t soften. Hi, I’ve made some beads using swarovski bicones and seed beads. I would like to glue them to stud earring pads, but as the surface of the bead isn’t flat I’m struggling to find the right glue. I’ve tried hypocement which worked for a while, but with use the bead popped off the ear pad. Is there anything that would work? A blob of gemtac or even better e6000 will do the job, hypocement I find a little brittle for most things unless the part being glued is protected. Use a cocktail stick to apply a tiny amount leave for 24 hours to fully cure and you should have a nice long lasting bond. gemtac shrinks as it cures so depending on the amount of contact between the two surfaces you can always add a second glue spot once the first has dried if you think it’s necessary. I want to glue flat backs to Motorcycle what is the best glue to use. It will be used and I need it to hold up. I would opt for E6800 it’s the same as e6000 but more UV stable for outdoor use and is very strong. I would like to apply swarovski crystals on stainless steel tweezers & scissors. Please advise me which is the strongest glue and I’m afraid if they will come off during sterilization process. I would have a look at a high heat epoxy resin, sterilization is usually at a temperature of 160 °C, you get specific epoxy resins that are capable of withstanding higher temperatures and epoxy resign also gives a pretty strong bond. i would be very grateful if you recommend the best/strongest glue to stick 40mm x 80mm Krystal on top of another equal size Krystal in order to form a very solid wall. I don’t know sorry, does the glue need to have some flexibility for force being applied against the wall?, is the crystal glass?, does it need to be UV stable?, will it be used indoors or be subject to the elements? I’ve attempted to glue rhinestones onto a football jersey, however some of the stones peeled off. Would E6000 be the best glue for sticking rhinestones onto nylon? The actual number part of the jersey has a plastic/rubber feel to it. Yes e6000 would be the better option for strength, but I would do a small test first just to make sure that it doesn’t melt the transfer as e6000 will melt/cloud acrylic flatbacks but at the same time its suitable for most plastics so better to be safe than sorry and test a small area first. bought a gorgeous turquoise ring set in silver surrounded by Swarovski Crystals. I’ve been careful wearing it but have lost a couple of the tiny grey crystals and would love to replace them. I believe they were set in a putty that hardened and the hole the crystals occupied is convex. Is this a special Swarovski Crystal in that it does not have a flat back and where can I find them and the adhesive needed to repair my ring? You can replace the crystals with pointed back chatons which are little crystals that look like flatbacks with a pointed foiled backing, they can be set into a resin, clay or glue to secure them into place. Alternatively you can fill the hole with glue and use a flatback crystal to replace the missing chaton if you are unable to get the size/colour required. To replace the crystals you will need to know the colour and size which will either be an ss or pp number depending on the stone size. If you have a stone that’s come loose you can print out a PDF with all the size on to identify the size (http://www.crystalandglassbeads.com/2058_Swarovski_FlatbackCrystals_Sizes.pdf). Most of the colours you can see here http://www.crystalandglassbeads.com/swarovski_crystals_colour_chart.php as regards replacing a chaton you can see how its done here http://www.crystalandglassbeads.com/blog/2014/use-swarovski-crystal-chatons-round-stones.html .. Hope that helps. Hello, can you tell me what to use to apply flat back resins cabochans to the sides of converse? E6000 would probably be the strongest adhesive if the cabochans are glass with metal foil backing if they are plastic however e6000 will melt the foil backing and cloud the stones. You will then have to consider using something like gemtac. Be careful where you place the stones if its on a part of the shoe that creases its likely the stress of canvas material constantly bending will soon dislodge any glued on stones. Hi. I was wondering what the best glue would be to glue flatbacks to the bowtie emblem on the front of a car? I don’t drive it everyday. It is more of a toy, and won’t be out in the winter, or in the rain during spring/summer unless something pops up before I get home, but I do occasionally run it through a high pressure car wash when I don’t have time to wash it at home. Would the E6800 work for something like that? If you mean the Chevrolet Logo I would be inclined to set into an UV stable epoxy resin so that if it’s going through a high pressure wash the crystals or adhesive wont come free. You can use E6800 but it’s more likely to get damaged going through a high pressure car wash as its flexible where as epoxy resin sets solid. HI, Please could you give me an advice on how to attach two rhinestone settings (gold plated or silver plated) together to make earrings or other pieces of jewellery? I want to use the rhinestones which are already placed into the settings and produce different shapes by sticking/soldering them to each other? I do not know if soldering or gluing techniques are used to join two pieces of plated findings together, please could you help me? Gemtac would be the safest glue as it’s non toxic and gives a reasonably strong bond but I personally wouldn’t be happy giving a baby a dummy with crystals on which are choke hazards themselves. If you do decide to crystallize make sure you gently scuff the any dummy surface that you are crystallizing with some sand paper or an emery file to make sure the bond is as strong as you can make it. You will have to measure the width/length of the gap and then try and work out the best size crystal to fir the gap or alternatively use a range of sizes. i,e, if the width of the gap is 20mm you could use 5 rows of ss16 4mm or 4 rows of ss20 5mm or if you wanted to go smaller 6 rows of ss10. As regards the adhesive I would probably opt for some form of epoxy resin that is UV stable for using outdoors. I have a pair of silk satin (dyeables) shoes for my daughters prom. I purchased a long metal strip of triple rhinestones. The strip has a smooth metal backing on it. I tried using a hot glue gun but the hot glue just peels right off of the silk satin shoe strap. Any idea on what might work? Her prom is this friday and I am afraid to use anything else but the hot glue did darken the red shoe strap a bit. Hi JT gemtac or e6000 would work or for the least hassle you could use hotfix. I have a Swarovski crystal figurine with baby birds on a branch. Three of the birds fell off. (I accidentally dropped it!) I’m looking for a way to reattach them without it looking like it was glued. And it has to be strong enough that the birds won’t come loose or fall off again. I have e-6000 glue, but would that be strong enough? Would a quick set epoxy glue work as well as the stuff you have to mix? Yes I would opt for an epoxy resin over e6000. Hi. Do you have any suggestions for gluing foil backed crystals to cured polymer clay? Also this may sound ridiculous but can the crystals withstand the heat of an oven? Thanks!! Hi Angela you can use rubbing alcohol to clear any oils or residue from the metal or gems before gluing. If the gems are being glued to a metal surface and there is no flexibility you can use something like jewellery cement, which is easy to apply and has a thin precision nozzle. The downside is its very brittle if knocked. The alternative which I would consider is 2 part epoxy resin which will get the stones and metal together with a solid bond that has a little flexibility in the bond also. You have lots of different brands and types of 2 part epoxy resin so choose one that has enough working time for your needs but doesn’t take too long. Some adhesives also yellow slightly with UV light, but the amount you use may be so small it’s not noticeable if this isn’t the case look for a UV stable glue. Hi Leyl I personally would opt for hotfix crystals for clothing, if you do go the non-hotfix route then e6000 is the best option. Hi, I love using Swarovski crystals and I’ve only ever used one glue to fix them onto all kinds of fabrics but I’m finding they are coming off in the wash no matter what I do, I use e6000 could you recommend a different glue that won’t come off in the wash? Also I have tried every method possible for picking the crystals up with and sticking them on but so far nothing is helping, I have precision tweezers, wax tipped nail art instruments and the special white pencils could you recommend something that will actually pick them up, hold them until the glue is on them and position them where I need them? Have a look at . I am trying to attach flat back crystals to a counted cross stitch project. According to stitch/crystal match, the crystal size I need are ss5’s. My question is what is the best type/consistency glue can I use that will “dispense” if you will in the smallest size dot of glue? I tried one applying with a tooth pick, but it had a long string of glue from the spot I placed it and pulled away the pick…..not going to work. Help please!!!!! Hi ss5 crystals are very small and the best glue would be gemtac, its not as strong as e6000 but bonds easier and if you use a bit too much it shrinks as it dries. I would consider using tiny 2.5mm bicone beads and stitching them into the area, will both look more professional and be harder wearing. I am engraving aluminum blanks for bracelets and want to add Swarovsky crystals. Should I use E600, GS Hypo Cement or some other glue? Have you considered epoxy resin? Crystals can and do come free especially if they are in a babies mouth so while crystallizing a keepsake is fine, adding crystals to a bottle that’s in use is another matter. Also bear in mind that e6000 is toxic and has some really nasty chemicals in the formula. If it’s on a flexible part of the bottle then there’s a good chance the crystals will come loose even if you use e6000. If you are crystallizing a rigid bottle then you can consider non-toxic epoxy resin which should give a hard wearing strong bond. To answer your question though yes e6000 is quite a bit stronger than gemtac. Hey Khaled, what glue would I use to stick crystals on my car ? Hi Leyyah Whichever glue you use will need to be UV stable so that it doesn’t yellow or become brittle quickly in the sun. There is E6800 which is the outdoor version of E6000, it’s flexible, dries clear, is for external use and UV stable. I would contact Eclectic the manufacturer first though before using and provide the manufacturer with the spec you need the adhesive to conform to so they can advise. I would suggest 2 part epoxy resin the UV kind for external use but have read that over time the adhesive does become brittle from UV exposure, so longterm that may not be the best option. I wouldn’t crystallise the wrists of sweaters as its an area where they are going to get knocked off from basic daily use in that area. I have made a post of washing crystals and how adhesives hold up which you can view here: Washing crystals post .. E6000+ or hotfix crystals would be the best option for sweaters but if you stretch the cuffs and then apply the crystals the adhesive bond will be put under stress once the cuff contracts (and may not sit right after contracting) and the same if you apply to a cuff and then stretch to put your hand through. The crystals may hold for a while but will start coming off within a few uses as adhesive isn’t meant to be put through that kind of stress, so it’s not a good long term option. If longevity isn’t an issue then it doesn’t matter but if it is then I would either consider sew on crystals or not crystallising the cuffs. Perfect! Thank you so much for your advice. Greatly appreciated! And can I find these sew on crystals on your site? We have a small range of sew on crystals, Swarovski however have a big range of sew on stones in many shapes colours and sizes. If you cant find what your looking for on our site Google Swarovski sew on stones.